SALT Contemporary Dance is a professional dance company that celebrates progression and upward evolution in dance by collaborating with rising choreographers from around the world to create original works. By commissioning and collaborating with emerging choreographers, SALT’s company of classically trained, artistically versatile dancers is able to stay at the forefront of the ongoing evolution of dance. 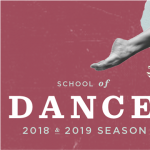 While long-standing companies in Utah perform mostly post-modern, classical, historic, or commercial works, SALT has filled the gap of presenting original, cutting-edge, and global contemporary dance—a ballet-informed and European-inspired genre of dance. By only performing new work and commissioning emerging artists from around the globe, SALT offers fresh perspectives, new voices, and more global ideas to Utah communities. SALT collects, creates, and performs these innovative works and shares them with Utah audiences through performances, workshops, training programs, festivals, master classes, and outreach programs to elevate the cultural vibrancy and diversity of our community.